Because Microdyne is a full service mold designer, mold toolmaker and manufacturing organization, you enjoy the benefits of end-to-end responsibility. This eliminates the risks from missed communications among multiple vendors and simplifies the procurement and management process from your perspective. While we generally begin with a new design, we also take over existing projects and proprietary processes from other manufacturers. We welcome opportunities to serve clients who find themselves in need of another source. Microdyne is a full service plastics manufacturer. We adapt our capabilities to your needs. Our capabilities begin with support of your product design to help you achieve manufacturability and the best-cost point. We then also provide Mold Design and Fabrication, Tooling, Clean Room Manufacturing, Quality Control, Assembly and Packaging. Our advantages include ISO 9001:2008 certification and (FDA) Device Manufacturing License from the California Department of Health Services, Food and Drug Branch. 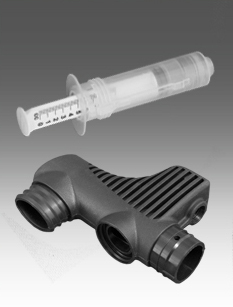 We are also a licensed medical device manufacturer.